Lawmakers have decided to stop treating truant students like criminals, sending them to adult court where they face possible jail time for skipping school. But 17-year-old criminal offenders will still enter the adult court system. A last-minute attempt to raise the age at which offenders automatically enter the adult legal system from 17 to 18 failed, but a bill ending the state's practice of forcing truant students into the adult court system to face possible jail time for skipping school appears headed to Gov. Greg Abbott's desk. Senators on Sunday unanimously approved Senate Bill 1630 after pulling out an amendment from state Rep. Gene Wu, D-Houston, that would have raised the age at which the state treats defendants as adults from 17 to 18. The underlying bill, authored by state Sen. John Whitmire, D-Houston, would place juveniles being punished for lesser crimes in regional facilities closer to their homes. Whitmire said raising the juvenile age might be a good idea, but it hasn't been thoroughly vetted by the Legislature and the idea is too important not to have a full review. "I am very willing to work with members on this issue, but I really think this should be a standalone bill," he said. Whitmire said keeping the amendment would have jeopardized good ideas in the original bill, such as moving some kids from state juvenile facilities into local ones where they will receive better mental health and substance abuse treatment, and they'll be closer to their families. One of the concerns about raising the juvenile age, he said, was cost. If approved, thousands of 17-year-olds would have been moved into county's juvenile systems. It's unclear whether those systems can handle that, he said. The change would cost Harris County alone about $51 million, Whitmire said. But one lawmaker questioned whether the cost worries were overblown. 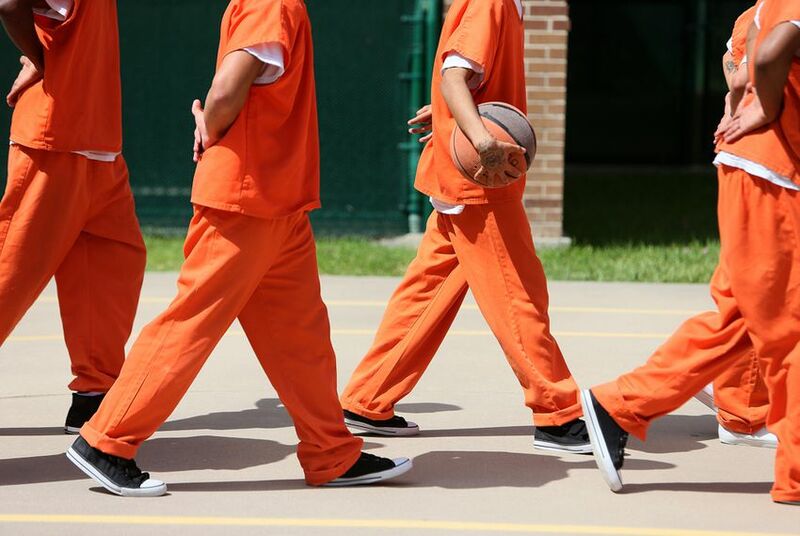 Most of the 17-year-olds in the criminal justice system are accused of committing misdemeanors, and wouldn't need to be held in a youth jail, said Sen. Juan "Chuy" Hinojosa, D-McAllen. The ones who commit major crimes can be treated as adults, Hinojosa said. A bill changing the state's approach to truancy is headed to Abbott's desk — House Bill 2398, which would force Texas school districts to work harder to get chronic school skippers back in the classroom. The bill, authored by state Rep. James White, R-Hillister, passed in the the Senate. If Abbott signs it, Wyoming will be the only remaining state in the nation that hands off truants to the adult court system. Lawmakers tried to amend the truancy law in 2013, but former Gov. Rick Perry vetoed it. White said that under his bill the Texas Education Agency will come up with better ways for school to deal with truancy. “We absolutely criminalize just too much … and then we wonder, why is there so much anger in our communities and our streets,” White said on Saturday. In Texas, schools have the option of referring students who miss at least 10 days during a six-month period to municipal judges or justices of the peace. Truant students can be sentenced to community service or even harsher penalties — including jail time or wearing a GPS-tracking ankle bracelet — if a student fails to follow the court's order and return to school. Students 17 and older who failed to follow court orders have been sent to jail. Dallas County, one of two Texas counties operating separate truancy courts, is now the focus of a U.S. Department of Justice investigation into whether children's rights are being violated. The school district in the only other county with a separate truancy legal system, Fort Bend, told parents in April it was suspending referrals to the court system and is re-examining its truancy process. White's measure decriminalizes truancy and makes it a new civil offense called "truant conduct," which can apply to a child age 12 and older. The current offense of "parent contributing to non-attendance" would have fines capped at $100 for a first offense and increase by $100 for each subsequent offense, up to a maximum of $500. A new truancy court will be established, but school districts would be prohibited from referring students if the school determines that the student's truancy is due to pregnancy, being in foster care, homelessness or being the principal earner for the student's family.